Gram: What the hell is wrong with you, Joe? Jazz is one of my favorite types of music, and it's the primary reason I was interested in this film. What I wasn't expecting was a rather sobering portrayal of addiction and dependency. 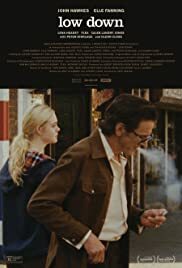 LOW DOWN tells the story (or at least a part of it) of jazz pianist Joe Albany (John Hawkes) and his daughter, Amy Jo (Elle Fanning). Joe is in and out of prison for drugs but is still trying to clean himself up. It doesn't really help that the people he hangs around are junkies like him, so he eventually skips probation and goes to Europe. He comes back a couple of years later, but it seems like little has changed. 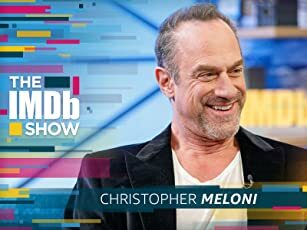 If there's one thing that was frustrating about the film, it was that the characters in it keep on making the same mistakes over and over again. However, the central relationship between Joe and and his daughter kept things afloat for the most part. He truly cares for her and does his best to shield her from the seedy side of the life that he lives, even though she does find out on her own. One breath of fresh air was Glenn Close as Joe's mother. She had a no-nonsense attitude that grounded the film and kept it from descending too low into self-pity and misery. That's not to say that John Hawke's wasn't great, which he is, but his character is so unlikeable at times that it was nice to have some common sense and dramatic counterpoint. Elle Fanning is serviceable as Albany's waifish, slight and asthma-stricken daughter. This is certainly the best role I've seen her in, and she seems to feel at home playing these weakish characters. The only thing I don't think she did convincingly was break down into histrionics when her seizure-prone boyfriend (Caleb Landry Jones) is mistakenly arrested by the police. In terms of characters, many of them in this film are afflicted in some way. Joe Albany (and many of his friends) have heroin, his daughter has asthma, her boyfriend has seizures, etc. We see people when they are at their lowest, but yet the film never judges them. There is only the hope that they will one day rise up again. I will say that this isn't the easiest film to watch, in terms of the characters or the laxly paced story. Some might find it too slow or boring, but this is a character-driven biopic. At times I began to wonder when and how it might end, but when the end did come I was fairly satisfied. I should also mention that this film has an excellent soundtrack and score, and includes some scenes of John Hawkes (apparently) playing the piano. If that wasn't actually him then they did a great job of disguising it. Overall, LOW DOWN presents a tender and sometimes moving look into the life of a musician. Just be aware that this isn't your standard biopic.